The Brandenburg Gate, the Holocaust Memorial, the Reichstag, Paris Square, the Berlin Wall, CheckPoint Charlie, the Pergamon Museum, the Nikolai quarter... Berlin is a vibrating city in all aspects. The history of two Empires and two World Wars left its marks on the monumental avenues, buildings and ruins. The nightlife is as animated as the cultural activities, and Berlin is renowned for its great museums, but the differences between the East and the West are still remarkable. The city keeps showing the scars of the war, but Berlin has become again, as it was in its best moments, Europe's Avant-garde. 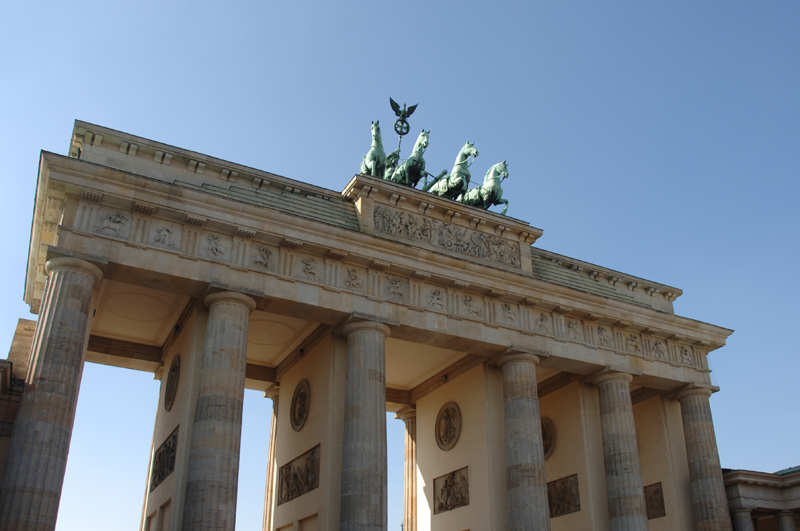 Let us guide you to the most interesting places of Berlin with Play&Tour®, the most comprehensive mp3 audio guide. History, art, architecture, monuments, insider tips, etc. Download all the relevant information to your mp3 device (mp3/mp4 player, iPod®, PDA, mobile phone, iPhone®, etc.) and discover the city at your own pace. You can simply have a walk through the city and listen to the information you need at any moment, just as if it were a big museum. It's that easy!